eSports betting is an integral part of the growing eSports industry, which engages more than a quarter billion people and is expected to double in size over the next 5 years. Today, eSports events attract millions of online viewers and can fill entire stadiums. The prize pools are also substantial, ranging from hundreds of thousands to millions of dollars. Being passionate and knowledgeable about eSports, gamers have started to pick up on betting on important competitions, either to increase the thrill or simply to make money off their knowledge. If you’re one of them and would like to take your eSports betting skills to the next level, we can show you how. The video games industry as a whole has been around for decades. However, it took quite a bit of time for the eSports phenomenon to emerge. In fact, the eSports industry started to flourish only about 8-10 years ago. The first eSports games and competitions date back to the early 2000s, but the real growth and popularization began only towards the end of that decade. This growth was caused in part by the creation of brilliant games such as StarCraft 2 and League of Legends, which are not only fun to play, but also fascinating to watch. Over the last 10 years, an entire variety of eSports were developed and popularized by companies such as Blizzard Entertainment, Valve Corporation and Riot Games. Among them are the following: Dota 2, League of Legends, Counter-Strike: Global Offensive, StarCraft 2, Hearthstone and Heroes of the Storm. Each of these games is now a well known eSport with its own community, professional teams, casters, analysts, coaches, players, sponsors and tournaments. The figures vary from one title to another, and the extremes are nothing short of spectacular for such a young industry. For instance, consider the ~25 million dollar prize pool which was offered at the latest Dota 2 World Championship (The International 2017), or League of Legends’ player base of 100+ million. It is a free-to-play multiplayer online battle arena (MOBA) game created and published by Riot Games. 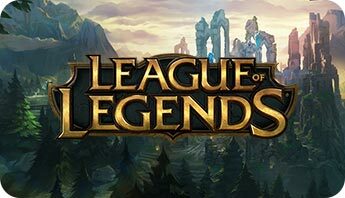 Announced for the first time in October 2008 and released just one year later, League of Legends is today the most popular electronic sport in the world. Read more about betting on League of Legends. This is another free-to-play MOBA game but with a very distinct playstyle and visual aspect. The game was created and published by Valve Corporation, the same company that owns the Steam platform. Its development began in 2009 and it was released in July 2013. Today, Dota 2 has 12 million active players and is famous for at least two things: its huge tournament prize pools and its complexity. It has so many elements and mechanics and it is so difficult to master, that even Elon Musk chose it as a testing ground for one of the artificial intelligence projects developed by his OpenAI company. 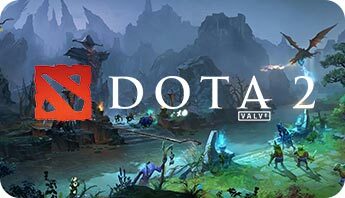 Learn more about betting and odds on Dota 2. This is a first-person shooter that was developed by Hidden Path Entertainment in association with Valve Corporation. It is the fourth game in the Counter-Strike franchise and since its release (in August 2012), it has sold more than 25 million copies. 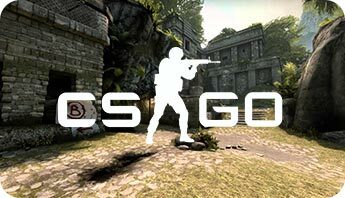 Get knowledge about betting on CSGO. Regarded as the greatest real-time strategy game ever created, StarCraft 2 is one of Blizzard Entertainment’s masterpieces. 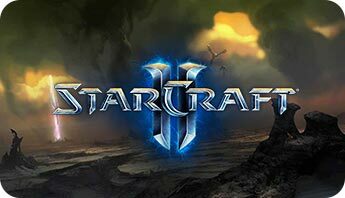 This game is a sequel to StarCraft and its expansion set Brood War, and is split into 3 installments: Wings of Liberty, Heart of the Swarm and Legacy of the Void. Shortly after the release of its first installment, StarCraft 2 inherited its predecessor’s popularity and morphed into a successful eSport. Read more about odds and betting strategies for StarCraft 2. 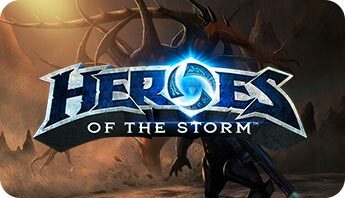 It is a popular free-to-play MOBA game developed by Blizzard Entertainment. It’s just as much of an eSport as any of the MOBA titles mentioned above, although it’s more simplistic and has fewer elements. For example, the heroes you can play don’t use any items and do not level up individually. Rather, the experi-ence is gained at the team level. Learn how odds and betting works for Heroes of the Storm. This is another free-to-play game developed by Blizzard Entertainment. What makes it unique is the fact that it’s a card game. There’s an element of luck to it, but, just like with Poker, the better you understand it, the more it becomes a game of intellect and skill. 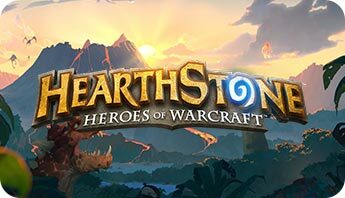 Read more about betting and odds for Hearthstone. Start your Mr Green journey! eSports is a vast arena with multiple titles to choose from. And since each of these titles requires a lot of time to master, it’s best to focus on one and get to know everything about it: its elements, the strategies being used, its professional scene and so on. Getting in depth knowledge of a game allows you to follow the particular match or tournament you are betting on and identify key moments in which a bet with good odds and a very high probability of success is available. Analyze the tournament’s participants and their recent results. When two teams compete against each other, knowing about their history and direct encounters will give you a much better idea with regards to whose chances of winning are higher. Watch the matches and tournaments that you are betting on. The current betting system is dynamic, allowing you to place multiple bets on the same match. This makes it possible for you to use a variety of betting tactics. For instance, you can often cancel out an initial bet by placing a second one on the opposite outcome of a match, while the outcome you are betting on still has good enough odds to allow you to do this. Such a tactic is very useful in situations where the unexpected happens and you need to do some damage control. Gather as much information as possible about the match you want to bet on before placing your bet. In MOBA games for instance, you have the option of watching the drafting phase first, before actually deciding who to bet on. During this time, even if you don’t have a sold understanding of the game, the analysts will give you a lot of clues with regards to whose draft is better. The ideal scenario that you’re looking for is one in which the better team also has the better draft. Take roster and game changes into account. If the eSport you are betting on has recently been changed by an important patch, or if a particular team has replaced one or more key players, this can change things a lot. In some tournaments, one or more teams may be there simply because some other team encountered visa problems and had to be replaced. In such situations, the replacement is often a much weaker team that you can bet against. When you want to bet on the result of a match in which one team is much stronger than the other, you can get improved betting odds by placing a bet on a game event which is consistent with the result of the match. So, if you believe that team A will win a particular game, ask yourself what other game events that you can bet on will team A win as well or attain faster than their opponent. straight odds. These are the types of bets in which you predict a match winner or a draw. outright winner. This type of bet requires you to choose a tournament winner before the tournament begins, and then wait until it ends to see the result. live betting. In this type of betting you can see the odds in real time, while the match is ongoing. These odds will change on the fly, depending on who seems to be winning or losing. eSports betting can be a very easy method of putting your eSports knowledge to use, or simply a way to spice up your tournament viewing experience. Some people do it casually, others carefully study it and learn how make money off their passion for eSports by taking calculated risks. Regardless of your level of interest in the subject, we’re happy to provide you with valuable eSports betting tips as well as stellar eSports betting services.